Product prices and availability are accurate as of 2019-04-15 01:53:05 UTC and are subject to change. Any price and availability information displayed on http://www.amazon.com/ at the time of purchase will apply to the purchase of this product. When you're on the go and need that quick make-up application before your big meeting or after a pre-work trip to the gym, this folding pocket mirror makes the perfect make-up accessory. 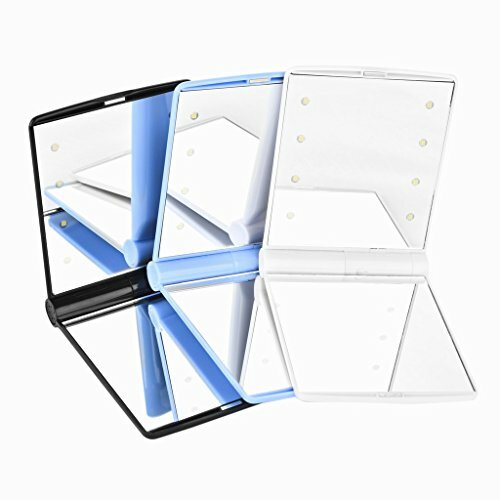 The unique, magnetic folding design includes 8 bright LED lights, allowing you to apply your make-up in low light situations. 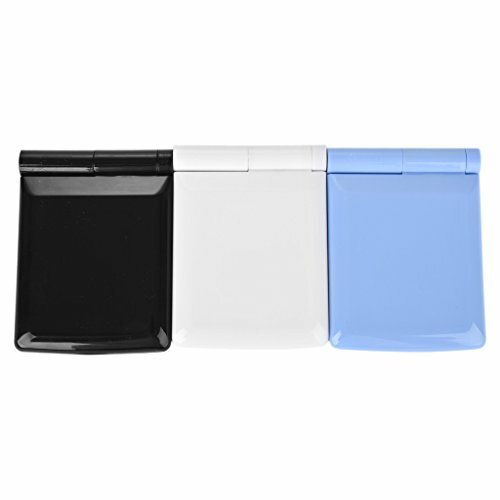 - Ultra-thin Fashion design and compact size for your Briefcase ,comestic bag or Travel Bag ,carry it anywhere. - Folding Action Allows You to Set Mirror Down and Adjust to Perfect Angle Leaving Your Hands Free when Applying Makeup and Seeing Face Close Up. - 8 Brightness Bright LED lights helps your make-up easier under the dark or poorly light condition. - Lighted Makeup Mirror and Magnification all in one, 1X and 2X Magnification on the two sides of mirror. Perfect Gift for Moms, Sisters, Grandmas, Bridesmaids, Grads, Skin Care Addicts, Makeup Gurus and More. 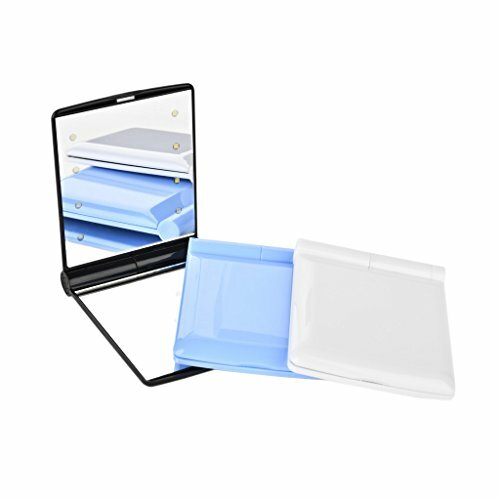 ULTRA-THIN PORTABLE DESGIN:Slim and Elegant, Fits in Any Handbag or Makeup Bag for Easy Storage. LIGHTED MAKEUP MIRROR:With 8 LEDs, fix your makeup in pub, cars and any other dark environment. Keep your makeup intact in any occasions. 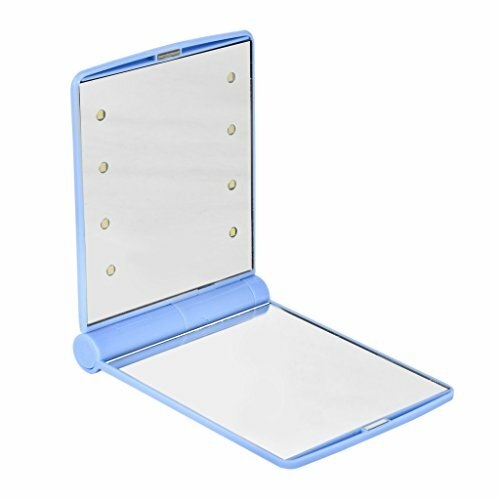 FOLDABLE TWO-SIDED MIRROR:This Foldable two-sided mirror with magnetic opening, a perfect addition for girls, ladies and professional make up artists. CONVENIENT:When you're on the go and need that quick make-up application before your big meeting or after a pre-work trip to the gym, this folding pocket mirror makes the perfect make-up accessory. 100% SATISFACTION GUARANTEED :Professional team, Humanized design, Excellent quality,Your best choice. 100% guaranteed.